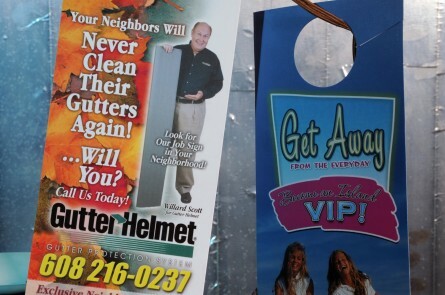 What better way to reach the masses than with Door Hangers. These door hangers are not your ordinary door hangers. It has a unique feel, a vibrant look and most of all, it is much more durable. They are tear and water resistant. Door hangers are your key to opening doors without being intrusive.